Outline India conducted a baseline analysis to understand the economic viability and environmental sustainability for auto rickshaw driving as a profession. The objective of the study was to scale up the intervention of the social enterprise 'Three Wheels United' in Bengaluru and to replicate the same in Chennai. A mixed method approach was adopted to acquire diverse information from a range of stakeholders. 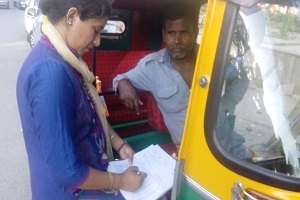 Surveys were conducted with auto rickshaw drivers to explore the dynamics within networks of auto drivers in terms of competition, migration, pollution, income, unions, etc. Key Informant Interviews were also conducted with officials from the transport and traffic department to determine the sustainability of auto rickshaws and the processes governing licenses and permits, registration and traffic management. Based on the findings, recommendations were made to the client about the implementation of the program.